I recently returned from Shimla's Indian Institute for Advanced Study, where I was attending a study week on Abhinavagupta. While my presentation came in the form of a two day abhinaya performance, others presented papers on rasa, on the Natyashastra and on Abhinavagupta's controversial commentaries on the same. I returned from there, with a renewed faith in my beliefs and values regarding classical dance. A lot of what I have been writing about was reaffirmed and reinforced by some of India's best scholars and theorists on the Natyashastra. These scholars also gave some clarity to my thoughts. In an earlier post, I had written about my experiences while performing excerpts from the Ramayana a few months ago. I had defended my position of performing the piece in human terms, rather than in terms of gods and goddesses by saying that I had focussed on mortal emotions that underpin the divine myths. At the conference, I got some clarity on why, theoretically, choosing to portray human emotions had not been a mistake. According to the Natyashashra, there are eight bhavas and therefore eight corresponding rasas (the ninth one i.e. shanta rasa, some of you must know, was added later by Abhinavagupta). Crudely put - the bhavas are the emotions that the performer expresses, and its corresponding rasa is what the audience is supposed to feel and experience. For example, in the Ramayana piece, the actor/dancer expresses love for Sita (this bhava is rati). The audience members cannot feel that love for Sita the way the actor does, but can experience the joy of love (this would be sringara rasa). Something like that. But of course, the actor or dancer doesn't actually become Rama. In the 9th century, Bhatta Lolatta (one of the earliest thinkers to analyse Bharata's Natyashastra) said that the actor 'becomes' Rama momentarily, but nevertheless does not forget his real nature as an actor. So how does the actor or dancer pull the audience into the story? How does he or she make the audience feel that the story is real? My answer to that question was that the dancer or actor reminds the audience of the human emotions they have felt at different times in their lives. According to Prof. K.D. 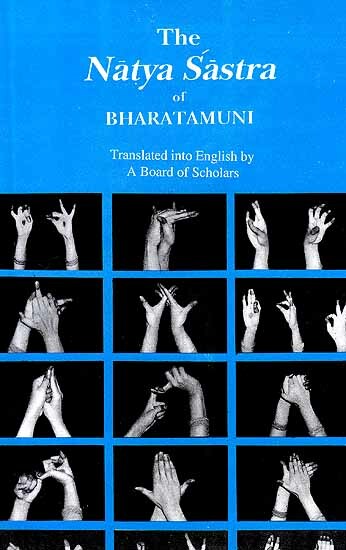 Tripathi, it is through a mechanism called Sadharanikarana. It is the generalisation of the bhava. While portraying myths/ performing abhinaya, the event or story being portrated may be very specific, distant and unrelatable, but the bhava is general and universal. It is this generalised bhava that the audience relates to, and feels. Unknowingly, I have been using this mechanism to portray (convincingly, I hope) stories of Gods and Goddesses while being an agnostic myself. My firm belief that emotions are universally relatable allowed me to perform a 'religious' piece in a 'secular' manner. And it is this universality of emotions that drove me to analyse and perform the Ramayana piece from a mortal and emotional perspective, rather than a divine perspective. To follow up from my last piece on the matter, the way religion and secularity are interpreted in the blogpost allows for humanising divinity, and apparently, sadharanikarana allows for it as well.